I was taking a break from my run this morning at a shady picnic table in the park. As I leaned over to catch my breathe, I noticed a torn photograph scattered in the grass. I put the pieces together and discovered that someone probably had their heart broken recently. Beautiful girl, though! 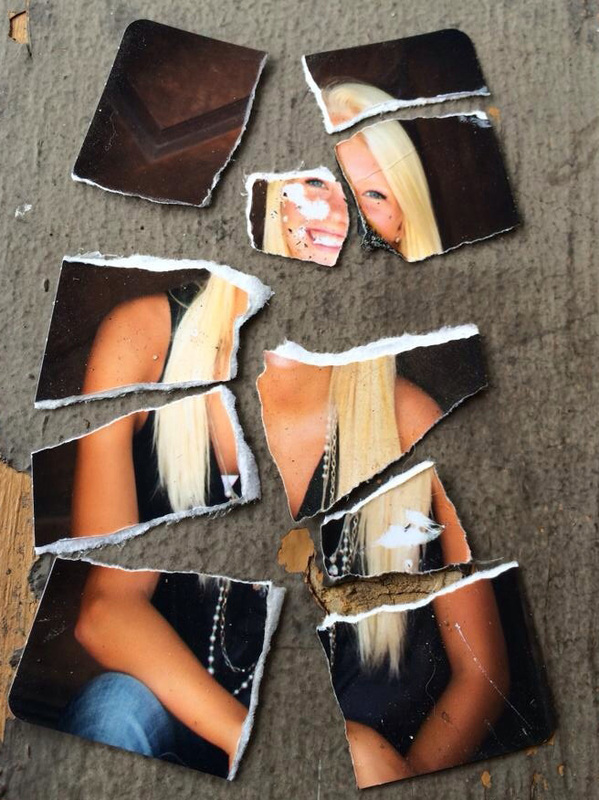 Long ago, after a bad breakup, my ex tore every single photo of us together in half, and gave me “my” halves. Destroyed photos bum me out. Nothing lasts forever, and fading memories aren’t enough.